11/04/14 -- EU grains closed mixed but mostly lower to end the week, but still managed net gains for the week as a whole. The day ended with May 14 London wheat down GBP0.45/tonne to GBP167.00/tonne, and with new crop Nov 14 London wheat closing GBP0.75/tonne weaker at GBP155.25/tonne. May 14 Paris wheat closed EUR1.50/tonne higher at EUR209.75/tonne, Jun 14 Paris corn was down EUR1.25/tonne at EUR187.00/tonne, whilst May 14 Paris rapeseed rose EUR1.50/tonne to close at EUR417.00/tonne. For the week that's puts May 14 London wheat GBP3.55/tonne higher, and new crop Nov 14 up GBP3.30/tonne. May 14 Paris finished the week EUR3.25/tonne higher than last Friday, with Jun 14 corn up EUR2.75/tonne and May 14 rapeseed EUR8.25/tonne firmer. French crop maturity remains well advanced compared to last year, with 96% of the nation's winter wheat crop now displaying an ear of at least 1cm long versus only 32% this time in 2013. 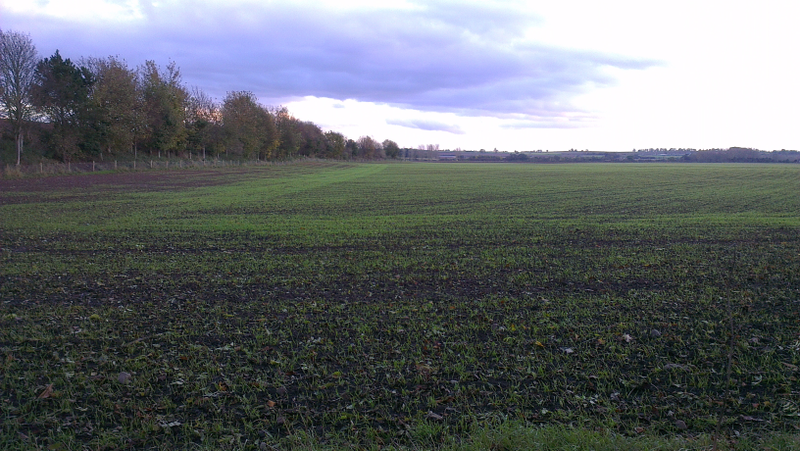 All the country's winter barley is at that stage, compared also to only 32% a year ago. 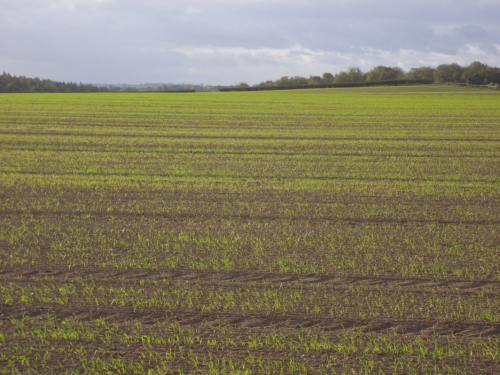 Spring barley emergence is 94% versus 45% a year ago, and corn planting is 12% done, up 10 points in a week and compared to only 1% this time last year. As far as crop conditions go, FranceAgriMer said that 75% of the French winter wheat crop is good to very good, unchanged from last week and 11 points ahead of last year. French winter barley is also 75% good/very good versus 65% this time last year. Spring barley is rated 80% good/very good versus 78% a year ago. The French oilseed growers group FOP estimated the rapeseed crop there this year at 5.0-5.2 MMT, a 14-18% rise on last year's 4.4 MMT. Egypt's GASC bought 230 TMT of wheat from May 1-10 shipment at around $300/tonne including freight. Romania will supply two cargoes and Ukraine and Russia one each. French and US wheat was uncompetitive. Reuters reported that two vessels carrying Russian wheat to Egypt had been delayed due to difficulties obtaining Letters of Credit. Chinese soybean buyers are said to be having similar problems. India said that it is picking up best bids at around $284-285/tonne in various tenders to sell wheat from it's government owned stockpile. Algeria bought 450,000 MT of optional origin milling wheat for June shipment. France is typically the most likely supplier. Ukraine said that it has exported 28.34 MMT of grains so far this season, including 7.93 MMT of wheat, 17.97 MMT of corn and 2.15 MMT of barley. The Ministry said that there's a further 1.13 MMT of grain portside waiting to load, and an additional 28 TMT already loaded and about to leave. Full season exports are expected to be a record 33 MMT. The European Parliament look set to grant Ukraine special status to export not just corn, but also wheat and barley into the EU under duty-free quotas, in an effort to "cement Kiev's historic shift away from Russia" - according to a report on Reuters. The move could trigger buying interest for wheat from the likes of Spain, say Agritel. They would of course normally be one of the main export homes for UK wheat. Russia said that they had planted 1.5 million hectares of early spring grains, or 4.7% of intentions, which is around double the area planted a year ago at this time. Russia's corn seed imports in March were said to be 42% higher than a year ago. Ukraine early spring planting is almost complete, and Belarus is past three quarters done. Brussels announced 585 TMT of soft wheat export licences this week, along with import licences for 347 TMT of corn. Spring looks like it's finally sprung, in fact it felt more like summer was here walking Nogger's Dog down the beach at Saltburn today. The market will soon start to focus on harvest 2014, which looks like coming early for many across Europe and in the Black Sea area. Is The Chinese Bubble About To Burst? 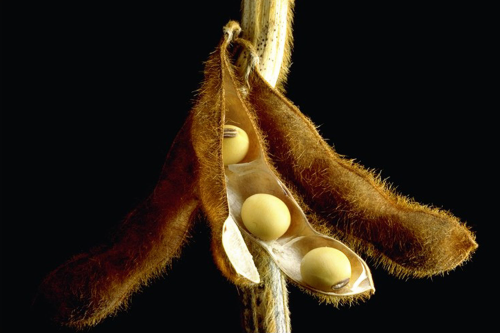 10/04/14 -- Soycomplex: Beans closed lower on concerns over Chinese demand. Few think that the world's largest buyer will import the 69 MMT of soybeans this season that the USDA forecast yesterday, and with good reason. The jungle drums have been beating loudly concerning credit problems in China recently, and Reuters reported today that there are 5-6 panamax vessels carrying $300 million worth of soybeans sat waiting for the buyers to pay for them before they can unload. The buyers are defaulting due to their inability to obtain Letters of Credit, it would seem. There are said to be more vessels on the way that face similar problems. Reduced demand due to bird flu and negative crush margins are also a factor, along with a huge stockpile of previously imported soybeans. Chinese trade data overnight revealed that the country had imported 4.62 MMT of beans in March versus the expected 5.69 MMT. Some analysts are now saying that they may import less than 15 MMT in Q3 of 2014 versus 18.25 MMT in the same period last year. China will account for 65% of the world's soybean exports in 2013/14, according to the USDA, so if they catch a cold, everybody is going to get it. CONAB today forecast the 2013/14 Brazilian soybean crop at 86.08 MMT versus a previous estimate of 85.44 MMT. They see 2013/14 soybean exports at 45.3 MMT, unchanged from their previous estimate. Weekly export sales came in low at 79,100 MT for 2013/14 and 210,400 MT for 2014/15. The trade had been expecting old crop sales of 0-100,000 MT and new crop sales of 300,000–500,000 MT. Funds sold an estimated net 7,000 soybean contracts on the day. May 14 Soybeans closed at $14.82 1/4, down 13 cents; Jul 14 Soybeans finished at $14.65 1/2, down 12 1/2 cents; May 14 Soybean Meal closed at $479.50, down $2.60; May 14 Soybean Oil closed at $42.50, down 41 points. Corn: The corn market ended narrowly mixed. Weekly export sales of 658,700 MT for 2013/14 and 58,000 MT for 2014/15 were at the low end of expectations for old crop sales of 700,000–900,000 MT and new crop sales of 0-200,000 MT. There has to be a chance that Chinese credit and bird flu problems will also spill over into demand for corn. Not that they're taking delivery of US corn anyway at the moment due to the MIR 162 situation. CONAB estimated the 2013/14 Brazilian corn crop at 75.46 MMT versus a previous estimate of 75.18 MMT and compared to the USDA's estimate of "only" 72.0 MMT. They appear to be bullish on "safrinha" or second crop corn production potential, for which current conditions are said to be favourable. CONAB have domestic corn use estimated at 53.82 MMT, with exports at 19.5 MMT and ending stocks at 11 MMT. MDA CropCast estimated the 2014/15 US corn crop at 357 MMT, up 9.3 MMT on last year despite a lower planted area. Corn planting hasn't reached the Midwest yet. "Welcome warmth dominated the Midwest this week, but colder temperatures are expected to resume next week when the jet stream carves out a cold trough in the heartland. While soil temperatures have steadily warmed with stronger solar rays March into April, fields are still too cold to plant with soil temperatures below the 50 F threshold. The typical start to corn planting is late April-early May, but is expected to be delayed this season due to deep penetrating frost," said Martell Crop Projections. However "delayed planting from springtime cold is not necessarily detrimental to the yield," they noted. May 14 Corn closed at $5.01 1/4, down 1 cent; Jul 14 Corn ended at $5.07 1/4, down 3/4 cent. Wheat: The wheat market closed around 6 to 11 cents lower on the day across the three exchanges. Fund selling was estimated at a net 3-4,000 contracts in Chicago. Weekly export sales offered no assistance whatsoever. They came in at just 41,800 MT – a marketing-year low – and were down 88 percent from the previous week and 90 percent from the prior 4-week average. New crop sales were 349,100 MT. Trade estimates had been for old crop sales of 250,000-375,000 MT and new crop sales of 150,000-300,000 MT. Japan bought 119,178 MT of US/Canadian wheat for May-Sept shipment in their routine weekly tender. South Korea FLC seeks 70 TMT of optional origin wheat for October shipment. CONAB estimated the Brazilian 2014 wheat crop at 6.7 MMT versus a previous estimate of 5.5 MMT. Domestic wheat usage was estimated at 11.93 MMT and wheat carryover stocks were estimated at 1.92 MMT. US winter wheat is set to get a break in the coming week. "Good rainfall is finally predicted in Kansas, the top US wheat state is expecting at least 0.25 inch state-wide, and up to 1.25 inches locally. Wheat farms in Oklahoma and West Texas would mostly miss out though," said Martell Crop Projections. World Weather said that next Wednesday through to Friday could bring 1 to 2 inches of rain from western Oklahoma into east-central Kansas. Early spring grains planting in Ukraine is just about done already, some rain has fallen there this week, and more is in the forecast for the next five days. May 14 CBOT Wheat closed at $6.62 1/4, down 6 3/4 cents; May 14 KCBT Wheat ended at $7.22 1/2, down 10 3/4 cents; May 14 MGEX Wheat closed at $7.01, down 11 3/4 cents. 10/04/14 -- EU grains closed mostly a little lower, although May 14 London wheat bucked the trend closing GBP1.30/tonne higher at GBP167.45/tonne, new crop Nov 14 ended the day GBP0.15/tonne lower at GBP156.00/tonne. May 14 Paris wheat closed down EUR0.75/tonne at EUR208.25/tonne, Jun 14 Paris corn was EUR0.50/tonne lower to EUR188.25/tonne and May 14 Paris rapeseed was unchanged at EUR415.50/tonne. The hangover from last night's USDA report, which came in bearish for wheat, was carried over into today's session. Forecasts for rain winter wheat on the US Plains this weekend, and more to come in the second half of next week, added to the bearish tone. Early spring grains planting in Ukraine are off to a flyer, despite the problems with Russia. The Ukraine Ministry today reported plantings were completed on 2.77 million hectares - which is just about the entire forecast area and a more than fourfold increase on this time a year ago. Sterling strength caps upside potential for UK wheat. Whilst we might not have anything to export this year, we certainly will in 2014/15. The pound traded close to 1.68 against the US dollar today - it's best level since August 2009 - following a statement from the US Federal Reserve saying that interest rates in the States would remain "very low" for a considerable time to come. Sterling's gains were trimmed a little as the Bank of England left UK interest rates on hold, and where they've been since March 2009, at 0.5%. Some expect that UK interest rates will start to edge higher by mid-2015, and possibly even later this year, with sterling forecast by Citibank to hit 1.70 against the dollar and 1.25 versus the euro in Q4 of 2014. That could keep corn imports continuing awhile yet, to the detriment of wheat prices and export potential in 2014/15. Fears for the Chinese economy and the country's "unsustainable" growth have been around for so long that we've maybe become complacent about them, just as were were about house prices, subprime and the dotcom boom. Reuters reported today that 5-6 soybean vessels are sat portside in China, unable to unload due to difficulties with buyers obtaining Letters of Credit from the banks. There's a further similar number en-route to China that may also face a similar fate, they said. With fund money now sitting on a very large speculative long in soybeans and corn in Chicago, the last thing the market needs is to start hearing of Chinese defaults. A major fund sell-off, should it come, would leave the soybean market vulnerable to significant downside. A steep fall in prices is not an unimaginable scenario (US farmers are of course about to plant a record soybean crop of their own in 2014, and Brazilian growers look set to do likewise later on in the year), and one that would only spark further defaults driving prices even lower. 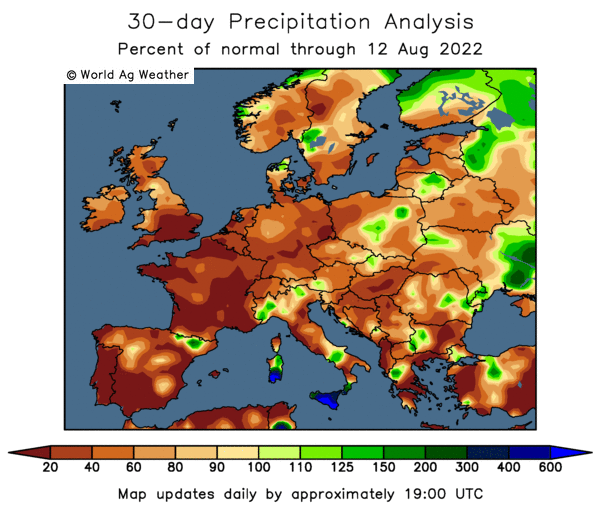 In the event of such a scenario playing out, it would be difficult to imagine wheat prices rising, at least not without the help of a significant weather-related problem somewhere around the world. Particularly so in the UK if the pound continues to firm once we start bringing in a crop which is hoped to be in the region of 15 MMT whilst we're up to our necks in imported corn. It was spec money that got us where we are today, following Big Bad Vlad's move on Crimea. It was nothing to do with end-user demand (and maybe only a little related to drought on the US Plains). 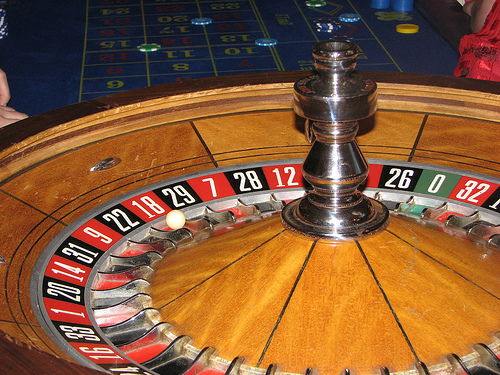 What happens if the "smart money" suddenly decides that it wants out (again) is not too difficult to forecast. 09/04/14 -- Soycomplex: Beans ended with decent gains, but also finished well off the highs. Once again it was the front end that saw the biggest rises, although July added more than May due to fund money position rolling. The USDA cut 2013/14 US soybean ending stocks by 10 million bushels from last month to 135 million, which was a larger downward revision than the trade expected. They did increase US soybean imports as expected, by 30 million to 65 million bushels, but they also raised overall demand by 40 million. China's import needs were left unchanged from last month at 69 MMT, contrary to trade expectations for a cut. Brazilian production was reduced by 1 MMT, as expected, to 87.5 MMT. Argentine production was left unchanged at 54 MMT, where some had expected an increase. The stand out point from all of this is that the USDA now has US soybean exports this season at a record 43 MMT. However the US has already shipped 40.5 MMT of soybeans and has sales of a further 4 MMT on the books waiting to go. So to make these numbers work 1.5 MMT of those outstanding sales need to get cancelled (or switched into 2014/15) AND the US makes no further sales this marketing year. That doesn't seem like a very likely scenario to me. The alternative is that the US needs to import more beans themselves. Note too, that the US crush is estimated at 45.9 MMT, marginally below last year's levels, yet the current cumulative NOPA crush is running ahead of a year ago. World 2013/14 ending stocks were cut to 69.4 MMT from 70.6 MMT last month, which is again a larger reduction than the trade expected (the average trade guess was 70.14 MMT). Oil World estimated Brazil’s April bean exports at 5.5 MMT versus 6.23 MMT in March, saying that this would be the first time in 10 years that April's exports would be below those of March. CONAB release their April Brazilian crop estimates tomorrow morning. Also out tomorrow are the weekly export sales numbers from the USDA. The trade is expecting old crop sales of 0-100,000 MT and new crop sales of 300,000–500,000 MT. May 14 Soybeans closed at $14.95 1/4, up 12 3/4 cents; Jul 14 Soybeans closed at $14.78, up 16 1/2 cents; May 14 Soybean Meal closed at $482.10, up $4.00; May 14 Soybean Oil closed at 42.91, up 80 points. Corn: The market ultimately closed lower, having initially made new highs just after the USDA report came out. The USDA pegged US 2013/14 corn ending stocks at 1.331 billion bushels, which was down on the 1.456 billion forecast in March and below the average trade guess of 1.403 billion. World ending stocks were placed at 158 MMT versus 158.5 MMT in March and the average trade guess of 157.7 MMT. Global corn production was however raised 6.4 MMT from last month, with a 2 MMT increase for Brazil and a 1 MMT rise for both South Africa and Russia. The trade didn't see that one coming. The Brazilian hike was due to "favourable precipitation in March and early April has supported the developing safrinha corn crop with yields now expected just below last year’s levels in the areas where this second-season corn crop is grown," they said. The global 2013/14 corn crop is now seen at a new record near 974 MMT. China's imports were left at 5 MMT, although the USDA's own FAS in Beijing yesterday cut their forecast to 4 MMT, adding that 2014/15 Chinese corn imports would decline to 3 MMT. Currently, it won't be US corn that they are importing as there's been little progress in getting MIR 162 corn approved yet, and that is keeping US exports to China on hold. The USDA forecast US 2013/14 corn exports at 44.5 MMT, up 41.3 MMT a month ago. The US has shipped 22.8 MMT of corn so far this season, so still has a fair way to go to hit that target, even if they have got 18.5 MMT worth of outstanding sales. Trade estimates for tomorrow's weekly export sales report are for old crop sales of 700,000–900,000 MT and new crop sales of 0-200,000 MT. Weekly ethanol production data lent no support, falling from 922k barrels/day last week to 896k barrels a day this time round. The level needed to hit the USDA's target for the season of 5 billion bushels of corn going to make ethanol in the US this year is 938k barrels/day. It's been a long time since they've achieved that. Corn planting in the Midwest is delayed, but Dr Cordonnier said that he doesn't currently see this as being a problem to "achieve near trend line yields if the summer weather cooperates." May 14 Corn closed at $5.02 1/4, down 4 3/4 cents; Jul 14 Corn closed at $5.08, down 5 cents. Wheat: The market closed lower as the USDA report lent bearish for wheat. The USDA raised projected US wheat ending stocks to 583 million bushels, which was exactly in line with the average trade guess. "Lower imports (are) more than offset by a reduction in feed and residual use," they said. US wheat exports were left unchanged at 32 MMT this season. They've shipped 25 MMT so far in a season that finishes at the end of May. The bearish surprise came from a near 3 MMT hike in world ending stocks to 186.7 MMT. The trade had been anticipating a slight cut to 183.7 MMT. China's wheat import needs this season were revised down from 8.5 MMT to 7 MMT, with domestic feed demand there cut by 2 MMT to 23 MMT. This was the main reason behind the rise in world ending stocks. News that a Chinese government auction of 858 TMT of wheat had only received a take-up rate of 16% was hardly encouraging for wheat demand there. FranceAgriMer estimated French 2013/14 soft wheat ending stocks at 3.3 MMT versus a previous estimate of 3.2 MMT, and up 12.5% from a year ago. That was the fourth month in a row that they've increased their wheat stocks estimate, and reflects lower shipments to fellow EU countries. French corn and barley stocks were also raised, with barley coming in at 1.5 MMT versus a previous estimate of 1.4 MMT, and up 19% from a year ago. French corn stocks were increased to 3.0 MMT versus a previous estimate of 2.9 MMT, and up 23% from a year ago. Whilst the USDA reported that only 35% of the US winter wheat crop is in good/excellent condition in it's first weekly update of the season last night, that was in line with expectations and only one point down on a year ago. Early spring plantings in Russia and Ukraine are well advanced on year ago levels. Rain would be useful, and above average precipitation is in the forecast for almost the entire region. Light rain was reported across western Ukraine yesterday, moving eastwards. For tomorrow's weekly export sales report the trade is looking for old crop sales of 250,000-375,000 MT and new crop sales of 150,000-300,000 MT. May 14 CBOT Wheat closed at $6.69, down 12 cents; May 14 KCBT Wheat closed at $7.33 1/4, down 8 1/4 cents; May 14 MGEX Wheat closed at $7.12 3/4, down 10 1/2 cents. 09/04/14 -- EU grains finished mostly higher on the day heading into the USDA's WASDE report, although May 14 London wheat closed GBP1.35/tonne lower at GBP166.15/tonne, with Tuesday's GBP3.85/tonne higher close probably a bit false. New crop Nov 14 London wheat closed up GBP0.40/tonne at GBP156.15/tonne. May 14 Paris wheat closed EUR0.75/tonne higher at EUR209.00/tonne, Jun 14 Paris corn was up EUR2.50/tonne at EUR188.75/tonne and May 14 Paris rapeseed rose EUR2.25/tonne to EUR415.50/tonne. Ahead of the USDA report fresh news was fairly scant, but last night's confirmation that the US winter wheat crop has declined significantly across the winter was enough to convince the bulls. It's difficult to know what to make of this news. On the bare face of it, headlines like "US wheat crop in worst condition in 12 years" reads bullish. Indeed, crop ratings for US winter wheat ARE the worst in 12 years, at 35% good/excellent against 62% at the end of November that's a pretty steep decline. However, at 35% they are only down on last year by just one percentage point, and wheat prices did nothing but fall in 2013. News of further skirmishes in Ukraine with pro-Russian activists seems to be encouraging the spec element back into the market. Despite that, Ukraine early spring grain plantings are almost 90% done, and my agronomist chum over there, Mike Lee, says that the winter "drought" might not necessarily be such a bad thing. It will after all encourage strong root growth, he notes. Russian spring grains are planted on 1.3 million hectares, according to the Ministry there, or 4.2% of plan. That's well up on only 775k ha this time a year ago. The normally conservative Russian Grain Union estimated 2014 grain production there at 90 MMT. They said that around 4.9% of winter grains will need replanting, down from a previous forecast of 6% and better than the norm which would be around 8-10%. The USDA's FAS in Moscow estimated the 2014 Russian grain crop at 91 MMT, down 1 MMT on last year. Wheat production will account for 52 MMT of that, virtually the same as last year, with the barley crop at 16 MMT and corn output at 11 MMT, they added. They see Russia's 2014/15 grain export potential at 24 MMT, virtually unchanged on this season. Wheat exports may rise 0.5 MMT to 18 MMT, and 2014/15 grain ending stocks should be more or less unchanged at 9 MMT, they added. Rusagrotrans forecast the nation's April grain exports at 1.8 MMT versus 2.015 MMT in March. Full season 2013/14 exports could reach 25.1 MMT, up from a previous forecast of 24.3 MMT, they added. The French Ministry said that spring barley plantings there would decline 3.2% on last year to 480k ha. The all barley area however will rise 3% to 1.69 million ha, they suggested. All wheat plantings will be up marginally, by 0.6%, to 5.02 million ha, they added. French soft wheat exports in February totalled 1.9 MMT (of which 1.3 MMT went to non-EU destinations). Year to date exports to non-EU homes are 8.2 MMT, up 18% on a year ago. FranceAgriMer said that total 2013/14 soft wheat exports to non-EU buyers would be 11.4 MMT, up 15% from a year ago. French wheat exports within the EU however are seen lower at 6.6 MMT versus a previous estimate of 6.7 MMT and down 8.5% from a year ago. That puts France's 2013/14 soft wheat ending stocks at 3.3 MMT versus a previous estimate of 3.2 MMT, and up 12.5% from a year ago. Algeria are tendering for optional origin milling wheat for May delivery. France are usually their preferred supplier. The USDA's FAS in Algeria said that decent winter rains mean that they could harvest 3.5 MMT of wheat this year, versus 3.3 MMT in 2013. Their 2014 barley crop should be virtually unchanged at 1.5 MMT, they added. Algeria's import needs are expected to remain static at 6.4 MMT of wheat and 0.46 MMT of barley, they said. Late in the day, the USDA's April WASDE report came in bearish for wheat with world ending stocks pegged 3 MMT above trade expectations at 186.7 MMT. 08/04/14 -- Soycomplex: Beans closed higher, with the largest gains at the front end, regardless of fund re-positioning. The trade is now focussed on tomorrow's upcoming USDA WASDE report, which is expected to show an extremely tight old crop availability situation. US 2013/14 soybean stocks are expected to fall to 139 million bushels from 145 million last month. World ending stocks are forecast to fall 0.5 MMT to 70.14 MMT. Brazil's crop may shrink by 0.5-1.0 MMT from the 88.5 MMT forecast in March. Some suggest that production in Argentina may be raised 0.5 MMT to 54.5 MMT, although reports circulating today suggest that heavy rain now, in the midst of harvest, may cut output by as much as 1 MMT. Bloomberg reported that palm oil stocks in Malaysia are at their lowest level in more than 3 years. Fund buying in beans was estimated at around a net 5,000 contracts heading into tomorrow's report. 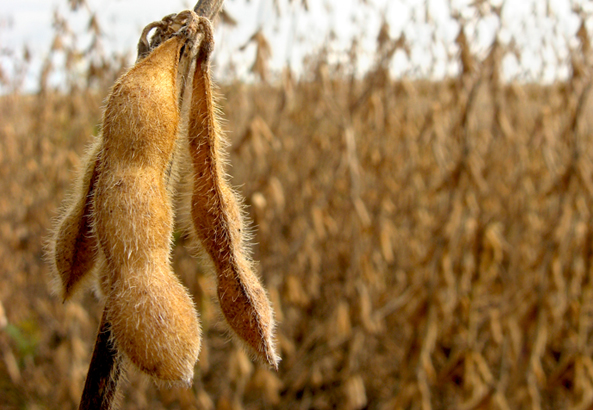 May 14 Soybeans closed at $14.82 1/2, up 18 1/4 cents; Jul 14 Soybeans closed at $14.61 1/2, up 13 1/4 cents; May 14 Soybean Meal closed at $478.10, up $3.80; May 14 Soybean Oil closed at 42.11, up 68 points. Corn: The corn market closed around 6-8 cents firmer, with fund money stepping in for an estimated net 10,000 contracts on the day, despite a disruption to trading caused by "technical issues" in the electronic market. 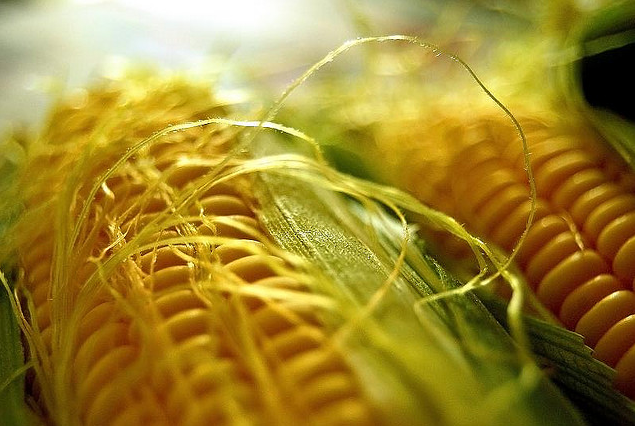 China have sealed a deal to import Brazilian corn. The USDA attache in China estimated the country's corn imports at 4 MMT this year versus the USDA's own estimate of 5 MMT. They said that 2014/15 corn imports will fall to 3 MMT and estimated Chinese corn production next season at 218 MMT. Tomorrow's USDA report is expected to show US corn stocks of just over 1.4 billion bushels at the end of 2013/14 versus the 1.456 billion estimated a month ago. Global stocks are estimated at 157.7 MMT versus 158.5 MMT last month. We will also get the usual weekly US ethanol production data tomorrow. Last week's output came in at 922,000 barrels/day, which is more than 10,000 bpd below the level required to hit the USDA forecast for the season. Warmer and drier conditions for the rest of the week may give US farmers in the Midwest the chance to get a bit of fieldwork done, although rain is back in the prognosis for early next week. May 14 Corn closed at $5.07, up 7 3/4 cents; Jul 14 Corn closed at $5.13, up 7 3/4 cents. Wheat: The wheat market managed relatively modest gains, with tomorrow's USDA report likely to be of more significance for corn and beans than it is for wheat. US 2013/14 wheat carryout is estimated at 583 million bushels versus 558 million in March. World ending stocks are estimated at 183.65 MMT, which is little changed from last month. The USDA attache in China forecast their wheat crop in 2014 at 122 MMT, and estimated 2013/14 imports at 7 MMT (which is 1 MMT lower than the current official USDA figure). They said that 2014/15 Chinese wheat imports would fall to only 4 MMT. The USDA's FAS in Australia estimated the 2014/15 wheat crop there at 24.8 MMT, down from 27 MMT this season. Despite lower production though, the attache's office projected 2014/15 Australian wheat exports at 19.1 MMT versus 18.5 MMT this season. The USDA issued their first weekly crop progress report of the year. They said that on a national level 35% of the US winter wheat crop was in good/excellent condition, which was towards the top end of trade estimates. Kansas wheat is 29% good.excellent, but 27% poor/very poor. Oklahoma has no wheat rated excellent at all, and only 15% of the crop is seen as good. Almost half (48%) of the state's crop is poor/very poor, a percentage only topped by Texas which is 61% poor/very poor. May 14 CBOT Wheat closed at $6.81, up 4 3/4 cents; May 14 KCBT Wheat closed at $7.41 1/2, up 2 cents; May 14 MGEX Wheat closed at $7.23 1/4, up 1 cent. 08/04/14 -- EU grains closed mostly higher on speculative interest, as Black Sea tensions run higher once more. The BBC reported that "Nato has warned Russia that further intervention in Ukraine would be a 'historic mistake' with grave consequences." The day ended with May 14 London wheat up GBP3.85/tonne to GBP167.50/tonne, and with new crop Nov 14 London wheat closing GBP2.20/tonne firmer at GBP155.75/tonne. May 14 Paris wheat closed EUR1.00/tonne higher at EUR208.25/tonne, Jun 14 Paris corn was up EUR1.75/tonne at EUR186.25/tonne, whilst May 14 Paris rapeseed rose EUR2.25/tonne to close at EUR413.25/tonne. At least for now though, exports out of Ukraine continue unhindered. The Ministry there reported total marketing year to date grain exports at almost 28 MMT, of which 17.7 MMT is corn and 7.9 MMT wheat. There's a further 176 TMT already loaded on vessels waiting to leave, and an additional in excess of 1 MMT at the ports waiting to load/leave, they added. The Ukraine Ministry also said that early spring grain plantings had been completed on almost 2.5 million acres (or 90% of the originally estimated area), including 1.89m ha of barley. The country has also planted over 500k ha of sunflowers, 53k ha of corn and 7k ha of soybeans, they added. Russia meanwhile has planted 1.9 million ha of early spring grains,which is well up on only 848k ha ha this time a year ago. The USDA attache in Europe estimated the 2014/15 wheat crop here at 144.8 MMT, up 1.5 MMT versus 143.3 MMT a year ago. They see exports falling 14% at 25 MMT compared to 29 MMT in 2013/14. Libya is tendering for 30,000 MT of milling wheat. Otherwise the international tender line-up for wheat is pretty thin. There are loud concerns regarding China, and it's import needs for the year ahead. The USDA's FAS office over there pegged Chinese corn imports at only 4 MMT inn 2013/14 versus the official USDA estimate of 5 MMT (and some private forecasts earlier in the season that were as high as 10 MMT). They see that demand falling to only 3 MMT in 2014/15. The same office estimate Chinese wheat imports at 7 MMT this season (versus the USDA's 8 MMT), falling to just 3 MMT in 2014/15. 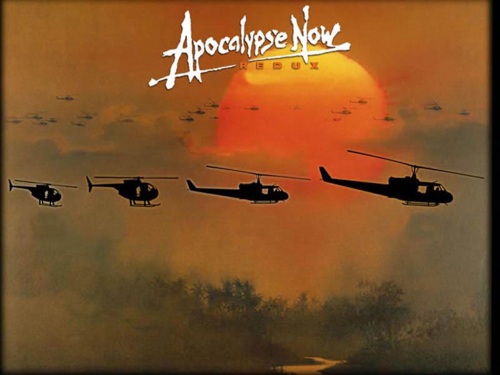 07/04/14 -- Soycomplex: Beans began the week on the defensive, with the front end faring the worst. That's where the big premiums are, and that's what fund money was selling today as they began to roll their nearby longs into July. End user buying wasn't sufficient to stem the tide. Reports that a vessel carrying Brazilian beans had arrived in the US Gulf also lent a bit bearish. The trade seems to be expecting that this could be the first of many Chinese resale cargoes, and that this is how the US is going to reconcile the fact that it's already exported almost the entire USDA forecast for the season. Weekly export inspections came in at 509,603 MT versus 507,533MT last week. The marketing year to date total is almost 40.7 MMT versus 33.4 MMT this time last year, and within 1 MMT of the USDA's target for 2013/14 which doesn't finish until the end of August. The USDA reported the sale of 120 TMT of new crop beans to China. Strategie Grains increased their estimate for the 2014/15 EU-28 rapeseed crop to 21.55 MMT versus 21 MMT a year ago. Oil World projected the EU rapeseed crop a little lower at 21.4 MMT, whilst Informa go for 21.1 MMT. The trade is now looking to see what Wednesday's WASDE report from the USDA has to say. With regards to US soybean stocks at the end of 2013/14, these are expected to fall to 139 million bushels from 145 million last month, according to a Reuters survey. They may raise Argentina's soybean production from last month's 54 MMT estimate, but may also lower Brazilian output from the 88.5 MMT suggested in March. World ending stocks are forecast to fall 0.5 MMT to 70.14 MMT. Demand from China will be of interest, with the USDA seeing them importing 69 MMT of soybeans last month. 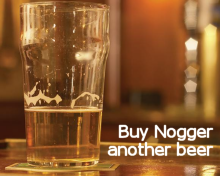 A reduction to that could be on the cards, along with a probable increase in US imports. May 14 Soybeans closed at $14.64 1/4, down 9 1/2 cents; Jul 14 Soybeans closed at $14.48 1/4, down 6 3/4 cents; May 14 Soybean Meal closed at $474.30, down $4.80; May 14 Soybean Oil closed at 41.43, down 14 points. Corn: The corn market closed a couple of cents lower in what may have been light profit-taking ahead of Wednesday's USDA report. Weekly export inspections were strong at 1,310,564 MT, similar to a week ago. The marketing year to date total now stands at 23.7 MMT versus 11.3 MMT this time last year. The USDA's target for the season is 42 MMT. Informa pegged the world corn crop in 2014/15 at 957.5 MMT, down from the record 964.6 MMT produced last year. Despite a drop in plantings, improved yields mean that the US corn crop will only fall a little, from 353.7 MMT to 351.5 MMT, they estimate. They see production in Brazil rising from 68 MMT to 69.3 MMT, with Argentina up from 21.7 MMT to 26.2 MMT and the EU-28 crop up from 64.7 MMT to 66.4 MMT. The Ukraine Ministry said that corn planting is underway there, they've also just started in France, according to FranceAgriMer. Russia said that it had exported 593 TMT of corn in March and that the marketing year to date total is now just over 3.1 MMT, versus the USDA's forecast for the whole of 2013/14 of 3 MMT. French corn stocks in commercial hands as of March 1 were 4.7 MMT versus 5.3 MMT a year previously. French Jul/Feb corn exports were 3.2 MMT versus 3.5 MMT a year ago, with 2.9 MMT of that going to fellow EU member states. Wednesday's USDA report is expected to show US corn stocks of just over 1.4 billion bushels at the end of 2013/14 versus the 1.456 billion estimated a month ago. Global stocks are estimated at 157.7 MMT versus 158.5 MMT last month. The Brazilian corn crop was forecast at 70 MMT last month, with Argentina at 24 MMT. Not much change is expected there. The USDA should have updated us after the close with it's first crop progress report of 2014, but this has been delayed until tomorrow. "Temperatures last week were still too cold to plant corn in the northern two-thirds of the corn belt. Soaking rains have softened frozen fields in the eastern corn belt. Observed rainfall the past 30 days shows above normal amounts in a swath from central Missouri through southern Illinois into Indiana and Ohio. However, drought has continued over much of the western corn belt," said Martell Crop Projections. May 14 Corn closed at $4.99 1/4, down 2 1/2 cents; Jul 14 Corn closed at $5.05 1/4, down 2 1/4 cents. Wheat: The wheat market closed higher, regaining some of it's recent losses as weekend rains on the US Plains came in lighter than expected/hoped for. News reports of further pro-Russian activity in eastern Ukraine were also viewed as bullish. The USDA delayed their first weekly crop progress report of the year until tomorrow. It is expected to show sharp declines in crop ratings across the winter. Informa estimated the world wheat crop in 2014/15 at 710.8 MMT, a little below the record 712.8 MMT produced in 2013/14. Despite drought on the US Plains, they see US output in 2014/15 rising from 58 MMT to 59.7 MMT They reduced their forecast for India's wheat crop following rain in March, but still see that rising from 93.5 MMT to a bin-busting record 104 MMT this year. Harvesting of that is already underway. Elsewhere, they forecast the EU-28 wheat crop up slightly from 142.9 MMT to 143.1 MMT, although Canada's is expected to fall from last year's record 37.5 MMT to 26 MMT, they said. The Ukraine wheat crop was forecast at 20.5 MMT versus 22.3 MMT last year. The Russian attache in Moscow estimated wheat production there little change versus last year at 52 MT, with exports rising by 0.5 MMT to 18 MMT and ending stocks steady at 6 MMT. The USDA's FAS in Turkey forecast their wheat crop at 15.8 MMT this year, down from 18 MMT a year ago, with imports rising to 4.5 MMT versus 3.9 MMT in 2013/14. French commercial wheat stocks (excluding durum) as at March 1 were estimated at 6.8 MMT versus 7.8 MMT a year ago. French wheat exports Jul/Feb were said to be 10.8 MMT versus 9.5 MMT in the same period in 2012/13. APK Inform said that Ukraine had exported 619 TMT of grain via it's seaports last week. March exports were 2.74 MMT, including 294 TMT of wheat, they added. Wednesday's USDA report is likely to peg 2013/14 US wheat carryout at 583 million bushels versus 558 million in March, according to a Reuters survey. World ending stocks are estimated at 183.65 MMT, which is little changed on 193.81 MMT last month. May 14 CBOT Wheat closed at $6.76 1/4, up 6 1/2 cents; May 14 KCBT Wheat closed at $7.39 1/2, up 5 3/4 cents; May 14 MGEX Wheat closed at $7.22 1/4, up 3/4 cent. 07/04/14 -- EU grains closed mostly higher, as tensions in Ukraine were increased following weekend developments that saw pro-Russian groups seize control of government buildings in the eastern city Donetsk declaring it a "people's republic". Similar moves are being reported from other cities in the east of the country such as Luhansk and Kharkiv. May 14 London wheat closed GBP0.20/tonne higher at GBP163.65/tonne, and with new crop Nov 14 GBP1.60/tonne firmer at GBP153.55/tonne. May 14 Paris wheat closed up EUR0.75/tonne at EUR207.25/tonne, Jun 14 Paris corn was up EUR0.25/tonne to EUR184.50/tonne and May 14 Paris rapeseed was EUR2.25/tonne steadier at EUR411.00/tonne. Despite the problems in eastern Ukraine, the agricultural industry currently appears largely unaffected - so far. The Ukraine Ministry said that early spring grain plantings had been completed on 2.44 million hectares, which is 89% of the anticipated area. 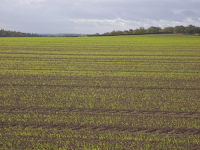 That consists mainly of spring barley (1.86 million ha), with only a small area of spring wheat (151,000 ha) being sown. Planting of the 2014 corn crop is also just about underway, with 22,000 ha of the Ministry's forecast of 5.156 million ha so far in the ground. The trade is pondering if it will be corn planting that will suffer the most from the current problems, with some suggesting that as much as 20% of the planned 5 million acres won't get sown at all. Tightness in the availability of credit in Ukraine could also have an adverse affect on farmers' ability to fund fertiliser and agrochemical inputs (as well as their supply), ultimately having a detrimental result on final yields of all crops this year. For now, Informa are forecasting a Ukraine wheat crop of 20.5 MMT this year, down 8% on last year. They estimate that Ukraine will produce 26 MMT of corn in 2014, a near 16% fall on last year's record crop. APK Inform said that Ukraine exported 619 TMT of grains via it's seaports last week versus 674 TMT the week previously. That's a very respectable total for this time of year. March exports were 2.74 MMT, a 6% rise on those in February. Most of that was corn (2.42 MMT), with a smaller volume of wheat (294 TMT) and other grains. That beats the volume of grains exported by Russia last month, which was just over 2 MMT, including 1.3 MMT of wheat and almost 600 TMT of corn. Russia's 2013/14 marketing year to date grain exports are now up 47% on a year ago to 20.85 MMT. Wheat accounts for 15.4 MMT of that, along with 3.1 MMT of corn and 2.1 MMT of barley. The USDA attache in Moscow estimated the 2014/15 wheat crop there at 52.0 MMT, almost identical to last year's 52.1 MMT. He estimated Russian wheat exports next season at 18.0 MMT versus 17.5 MMT in the current campaign. He also estimated the Russian 2014/15 barley crop at 16.0 MMT (up from 15.4 MMT in 2013/14) and corn production there at 11.0 MMT versus 11.6 MMT in 2013/14. The USDA's FAS in Kazakhstan estimated the wheat crop there rising to 14.5 MMT this year from 13.9 MMT last year. Informa Economics are even more optimistic, forecasting output rising to 16.3 MMT. The French government said that commercial grain stocks as at March 1 were 15.0 MMT versus 17.9 MMT a year previously. Soft wheat stocks were 6.8 MMT (versus 7.8 MMT a year ago), with corn stocks at 4.7 MMT (5.3 MMT) and barley stocks at 2.3 MMT (3.7 MMT). Exports of soft wheat (Jul/Feb) were 10.8 MMT versus 9.5 MMT twelve months previously. Barley exports were 3.3 MMT versus 3.1 MMT, and corn exports were 3.2 MMT against 3.5 MMT in the same period in 2012/13. They said that 3.9 MMT of this season's French soft wheat exports had gone to other European destinations, which is very similar to 12 months ago (3.8 MMT). The top EU home was Belgium taking 899 TMT, followed by Holland with 852 TMT. The UK was the sixth largest destination for French wheat in the period, taking 303 TMT. Of the 3.2 MMT of corn exported by France in Jul/Feb, 2.9 MMT went to fellow EU buyers, with the UK taking 356 TMT of it. Oil World forecast the EU-28 rapeseed crop up 1.9% at 21.4 MMT versus 21.0 MMT in 2013. They said that Germany would produce 5.7 MMT (versus 5.8 MMT last year), with French output up nearly 38% to 5.1 MMT (from 4.4 MMT) and the UK crop up 9% at 2.4 MMT (2.2 MMT). Informa estimated the EU-28 rapeseed crop a little lower at 21.1 MMT. The USDA will pronounce on US winter wheat crop conditions tonight, in a resumption of it's regular weekly reports. The crop was rated 62% good/excellent on the last report of 2013 in late November. That is expected to have fallen to around 30-35% tonight. 04/04/14 -- Soycomplex: Beans closed mostly higher at the end of a choppy session, although front month May 14 posted nominal losses of a cent and a half. The impending start of fund money rolling forward their longs begins on Monday, which will effectively see them selling May and replacing it with July, was credited with putting the front month under a bit of pressure. Talk persists of problems with Chinese demand, but there are few signs so far that this is affecting demand for US beans, it seems to be South America where the problem lies. The Buenos Aires Grains Exchange said that Argentine farmers had harvested 9.5% of their 2013/14 soybean crop versus 3.3% a week ago and 5.8% a year ago. They estimated production at 54.5 MMT, unchanged from their previous estimate and up 12.4% versus 48.5 MMT in 2012/13. They said that the sunflower harvest is 85.5% complete and forecast the crop at 2.3 MMT, unchanged from their previous estimate. Oil World estimated Argentina’s Jan/Feb soybean crush at 3.5 MMT versus 2.9 MMT a year ago. The USDA release their April WASDE report on Wednesday. The trade is expecting US 2013/14 ending stocks to tighten from 150 million bushels to around 140 million. They may well raise their forecast for US soybean (and meal) imports. CONAB the come out on Thursday with their monthly Brazilian crop production estimates. Last month they had the Brazilian soybean crop at a record 85.44 MMT, with exports at 45.3 MMT. The latest Commitment of Traders report sees fund money continuing to add to their overall net long in soybeans for the week through to Tuesday night. They're now sitting on a net long of in excess of 193k contracts. May 14 Soybeans closed at $14.73 3/4, down 1 1/2 cents; Jul 14 Soybeans closed at $14.55, up 3/4 cent; May 14 Soybean Meal closed at $479.10, down $1.00; May 14 Soybean Oil closed at 41.57, down 10 points. For the week, May 14 beans gained 37 1/4 cents, meal added $10.70 and oil gained 109 points. Corn: The corn market closed higher on the day and higher for the week. Today's Commitment of Traders report shows managed money adding over 36k corn contracts to their net long position which now stands at over 275k lots. That potentially leaves the market in a precarious situation should they all decide to get out at the same time for whatever reason. Fund money is expected to begin rolling out of front month May 14 on Monday, which could put that under a bit of pressure relative to the deferred positions. The US weather is seen warming up in the Midwest by the middle/latter half of next week, with temperatures of 65F in Chicago by next Thursday, according to MDA CropCast. They were said to have forecast 2014 US corn yields at 168.4 bu/acre, up 6% (or 9.6 bu/acre) on last year. China said that it is still evaluating MIR 162 GMO corn, and a report on Reuters suggested that approval for it may not now come until the second half of the year. That would continue to lean bearish for US corn export hopes there. Currently the US has 45.68 million bushels of unfulfilled sales to China (and a further 194.84 million sold to unknown). The Buenos Aires Grains Exchange's weekly Argentine crop progress report said that the corn harvest there is 13% complete versus 10% a week ago and 24% a year ago. They estimated production at 24.0 MMT, unchanged from their previous estimate but down versus the 2012/13 crop of 27.0 MMT. For next Wednesday's USDA WASDE report a Reuters poll has the average trade guess on 2013/14 US ending stocks at 1.403 billion bushels, down from 1.456 last month. CONAB update us on Brazilian crop production on Thursday, last month they estimated the corn crop there at 75.18 MMT, which is much higher than the USDA's current 70 MMT forecast. Before that, the USDA will release their first US crop progress report of the season on Monday. May 14 Corn closed at $5.01 3/4, up 1 3/4 cents; Jul 14 Corn closed at $5.07 1/2, up 2 1/4 cents. Wheat: The wheat market closed lower on the day, and lower on the week. The fall came despite the latest Commitment of Traders report showing fund money adding around 8.5k lots of Chicago wheat to their new net long. They're said to now have their largest spec long holding in CBOT wheat since November 2012. The USDA are due to issue their first weekly crop condition ratings for US winter wheat since last October on Monday, with hefty falls in most of the major producing states expected (although the crop did enter winter dormancy with some of the highest good/excellent ratings in recent years). 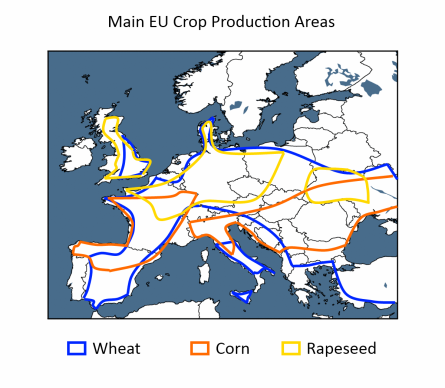 Wheat crops in Europe are well advanced, which may not necessarily be a good thing. FranceAgriMer reported that 90% of the French winter wheat crop is now displaying an ear of at least 1 cm versus only 18% this time a year ago. 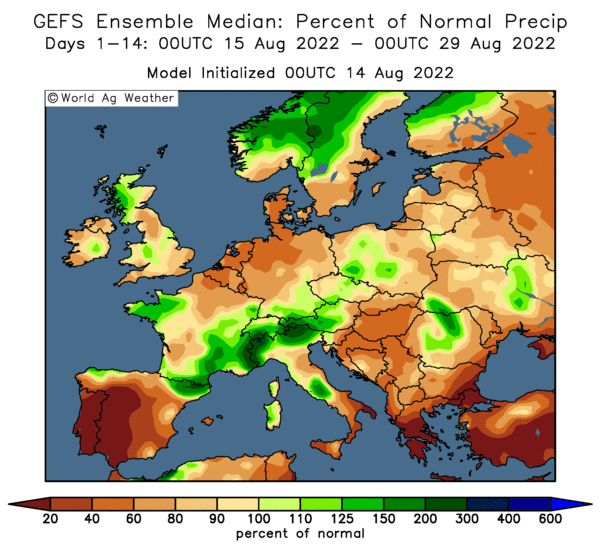 Moisture needs are therefore rising, and Meteo France say that French March rainfall was 35% below normal (whilst average temperatures were 1.1 C higher than normal). The 14 day forecast remains dry, although temperatures are expected to moderate. German wheat is said to be up to 4 weeks ahead of normal. They at least are expected to get better than average rainfall across the next two weeks, after a pretty dry winter. 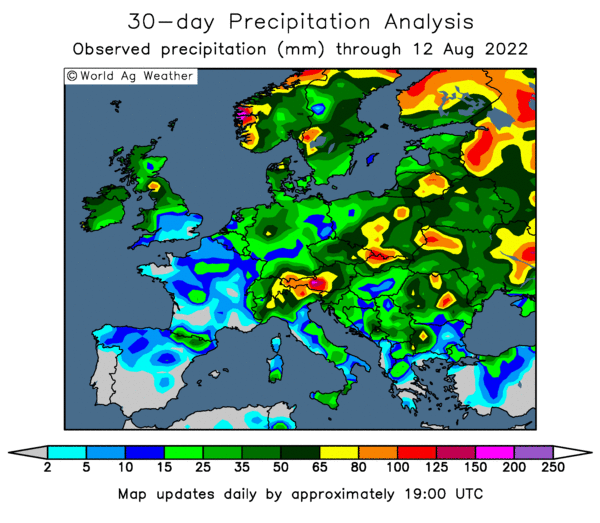 Polish wheat is said to be around 2 weeks ahead of normal development. The US weather forecast leans a bit more beneficial to winter wheat than it has, although it's hardly a soaking that they are in for. "Best rains are predicted in western Kansas and north-central Oklahoma with 0.30” - 0.75” inch of moisture. Other hard red wheat farms would received lighter rain, traces to .25 inch. If the forecast verifies, it would be the wettest week since February 8," said Martell Crop Projections. The Philippines are tendering to purchase up to 134,500 MT of feed wheat of optional origin. May 14 CBOT Wheat closed at $6.69 3/4, down 6 1/4 cents; May 14 KCBT Wheat closed at $7.33 3/4, down 10 1/4 cents; May 14 MGEX Wheat closed at $7.21 1/2, down 9 cents. For the week, that puts CBOT wheat down 25 3/4 cents, with KCBT losing 29 3/4 cents and MGEX 18 1/4 cents.